Blog Quick Quotes: Christine: Tin Type! I'm Christine and I'm so excited to be debuting here today! You'll quickly learn a couple things about me: I love to fussy cut and love to think outside of the box. You'll find both of these to be true as I share to cards with you today! The Tin Type collection has a lot of really unique elements to it. The hot air balloons kept jumping out at me and screaming to be fussy cut. I fussy cut them and started playing with them and ended up turning them into flowers. To create them I cut out the balloons and inked the edges. I then curled the balloons to make them look like petals and put them all together to form a flower. I had fun playing with the Die Cut Chipboard (Gears Bag O' Chips & Butterflies Bag O' Chips) and Powderpuff Chalking Inks (Blue Hawaiian, Amaretto, and Baja Blue). 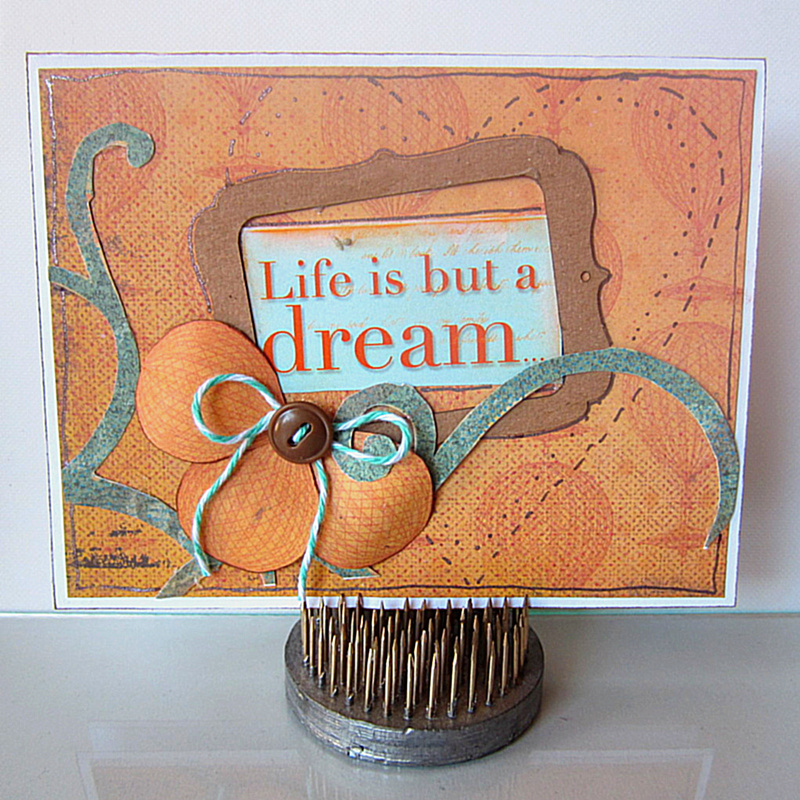 This chipboard takes those inks fabulously! 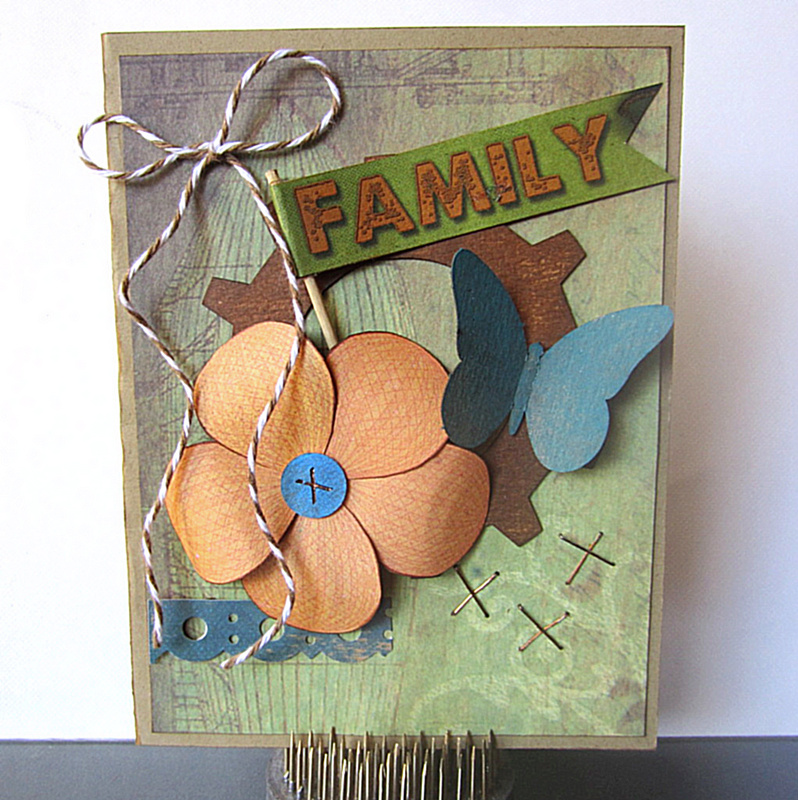 For my second card I fussy cut both flourishes and hot air balloons from the Tin Type line. I used the Frames Bag o Chips for my frame and left it raw...it just worked that way! I kept this card pretty clean and simple adding in just a little doodling to break up some of the white space. I hope you've enjoyed the projects today, I'll be looking forward to next time! lovin' the tin type cards! So cute and such a clever way to use the products! love these flowers! What a great idea! love the flowers!! pretty card. Beautiful cards Christine! I love your creative use of the balloons! Like the crafty creativity of these cards.